Using the motto ‘a new urban vibe’, The Hague presented plans in 2015 for a new approach to outdoor space. 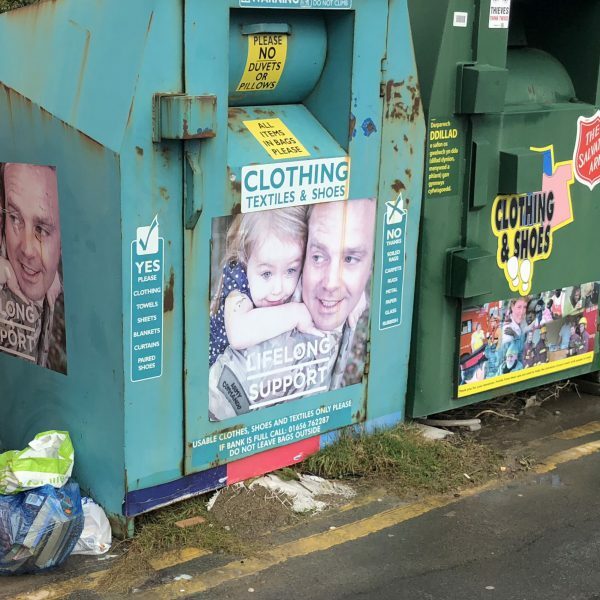 Whereas the main tenets until then were ‘clean, decent and safe’, from that moment onwards the municipality wanted to also emphasise initiative and entrepreneurship, relaxation and opportunities for meeting up. Part of the new approach is a programme aimed at improving the city’s entryways – the points that people use to enter the city. Koningin Julianaplein/Koekamp, directly opposite Central Station, is one of these. ‘The idea behind the city entryways is as follows: visitors recognise the city as they enter and immediately feel at home,’ says Irene Mulder, landscape architect and policy officer at the Urban Development & Planning Department of the municipality of The Hague. ‘That requires top-quality outdoor space and an identity that is clearly identifiable with The Hague.’ Anyone standing on Koningin Julianaplein near The Hague’s Central Station, which is the city’s reception area, is standing both on the threshold of the city and the threshold of one of the most beautiful urban woods in the Netherlands,’ Mulder says. Koekamp is a key link between these two points. Koekamp, Haagse Bos and Malieveld form a special entity by virtue of their unique location in the heart of the city, but also because of their close connection to the city’s early history. ‘Koekamplaan is part of the “royal” axis that runs from the Noordeinde palace via Binnenhof, Lange and Korte Voorhout to the Huis ten Bosch palace and De Horsten country estate. These were the hunting grounds of the counts of Holland in the fourteenth century. There’s still a forester walking around in 2017, in the middle of the city… Early on in the planning process we had Stichting In Arcadië, a research centre and planning bureau, conduct a culture-historical study. One interesting finding was that Koekamp is the oldest urban park in the Netherlands. The study has enhanced people’s appreciation of the area’s quality. It has also inspired the design of the green entryway,’ Mulder says. In her eyes, Koekamp is currently an uninviting place. The infrastructure, fences and bushes create physical and psychological barriers there. The aim is to transform it from a closed enclave in the city to a more public place that highlights its historical and ecological qualities. Koekamp, Malieveld and Haagse Bos are the property of the forestry commission. The bombings, the construction of the Atlantic Wall and logging by the inhabitants meant that by the time the Second World War had ended, the woods had largely vanished. The forestry commission has made it a major wood again in recent decades. The municipality and the forestry commission have developed ideas for more drastic interventions on several occasions, such as creating an overpass spanning Utrechtsebaan, but until now only minor interventions have taken place. In 2015, Mulder witnessed a number of developments that increased the likelihood for a new approach to this area. In the framework of its plans for public space, the municipality held talks with various stakeholders in the city, including the forestry commission. The renovation of Central Station also altered the vision on public space in the station’s surroundings, and financial resources became available after the programme for the city entryways was determined. During this time, the forestry commission was also reinventing its role in society. ‘Protect, experience and use’ became the commission’s new motto. 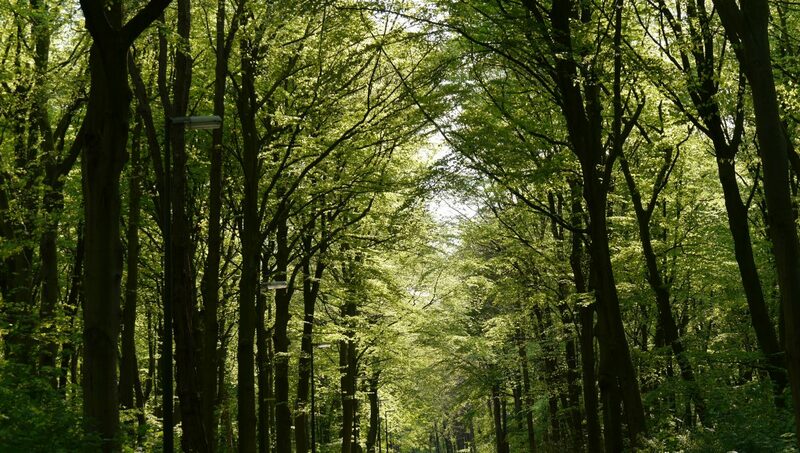 ‘By engaging in a dialogue with the forestry commission and taking advantage of the momentum, the pieces of the puzzle started to fall into place, and now a plan has been developed for ‘The green entryway’ into The Hague. Together, our intention is to make this a top spot,’ Mulder explains. Mulder also ensured that this project was included in the municipality’s regional policy on green space. The ‘Duin, Horst en Weide’ (‘Dune, Hurst and Pasture’) landscape register was established in 2014 for the area between The Hague and Leiden, the aim of which is to develop its nature and landscape. One of the underlying objectives is to improve the relation between the city and its surroundings. Haagse Bos and Koekamp are the entryway to this landscape from The Hague. That’s why resources were included in the landscape register’s implementation programme for the green entryway’s plan. In the meantime, the Hollandse Duinen National Park is a reality now as well. The partners working together in this area, which extends from Hoek van Holland to Hillegom, welcomed the ambitious plans for the park in June 2017. Koekamp will become a key entryway into this national park. In the design, created by landscape architect Steven Delva in cooperation with Ingenieursbureau Den Haag, Koekamp is also being ‘pieced in’ so that it creates a link with the city centre. This will create more cohesion with the station square, the design of which is emphatically green. The result resembles a ‘green carpet’, as opposed to the ‘red carpet’ that runs from Turfmarkt and Anna van Buerenplein to the train station. The park is surrounded by many ministries and other government offices. 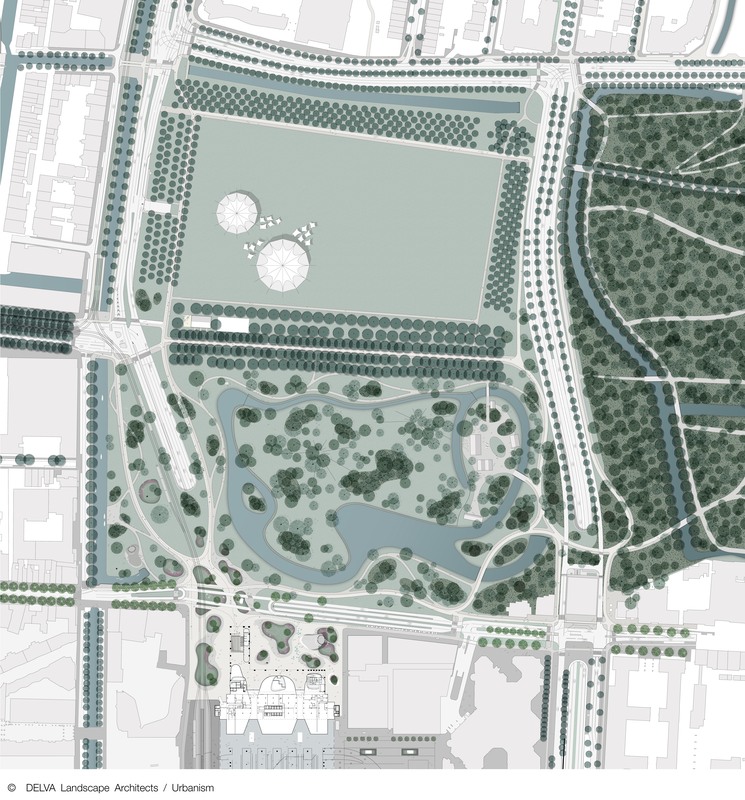 The park is going to be redesigned in the style of Zocher – undulating lines, ponds, bridges and bushes – so that it becomes a more appealing place to walk around, to have lunch or to work on your laptop for an hour or so. Cafés and restaurants, as well as an information centre, are going to open at the location where the forestry commission now has its offices and a workshop. There are plans for a pavilion and a small harbour elsewhere in the park. A pleasant route will be built from Central Station to the wood. A major task is going to be streamlining the busy flows of traffic in the vicinity of Koekamp. The tunnels there have already reduced the number of cars driving by the park, but during rush hour, pedestrians, cyclists and trams tend to get into each other’s way. Another major obstacle is Utrechtsebaan, which separates the park from Haagse Bos. The ideal solution would be to lower the road, so that the historical connection would be reinstated, but that’s a costly and technically complicated solution. It was decided that a wider overpass with more green will be built over the Utrechtsebaan level with the Malietoren. Placemaking is not only a physical but also a social process. Indeed, the municipality has involved local residents, entrepreneurs and other stakeholders in the planning process through a series of workshops. Stakeholders have been invited to take walks through the park so that together the best route for the paths can be determined. Koekamp is also part of the Central Innovation District that’s situated between the three most important NS stations in The Hague: CS, HS and Laan van NOI. 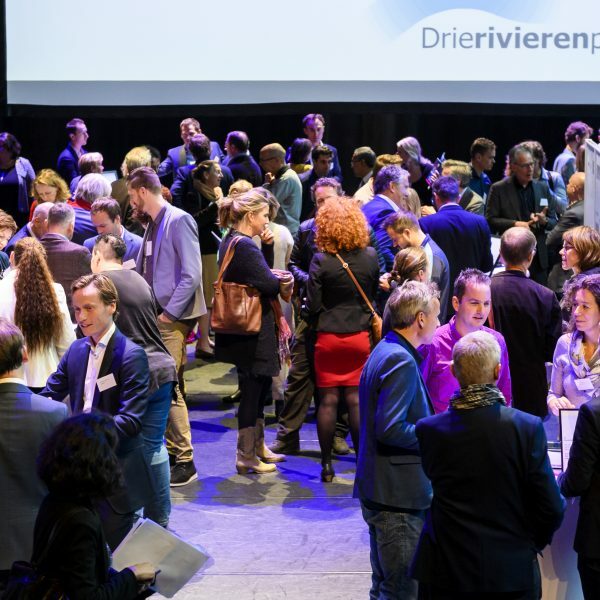 Mulder hopes that the ultra-urban development planned here will create more opportunities in the future to reduce car-related infrastructure, to bridge the Utrechtsebaan and to reinstate the connection between Koekamp and Haagse Bos. conducting culture-historical research on it. Involve parties that feel connected to the area when formulating the task. Don’t build an infrastructure that will negatively impact public space, and which can only be rectified later through expensive and complicated interventions. Koekamp is situated in front of Central Station in The Hague and borders Haagse Bos and Malieveld. The area was originally part of Haagse Bos and belonged to the hunting grounds of the counts of Holland. In the nineteenth century, landscape architect Jan David Zocher transformed Koekamp into an English landscape garden. 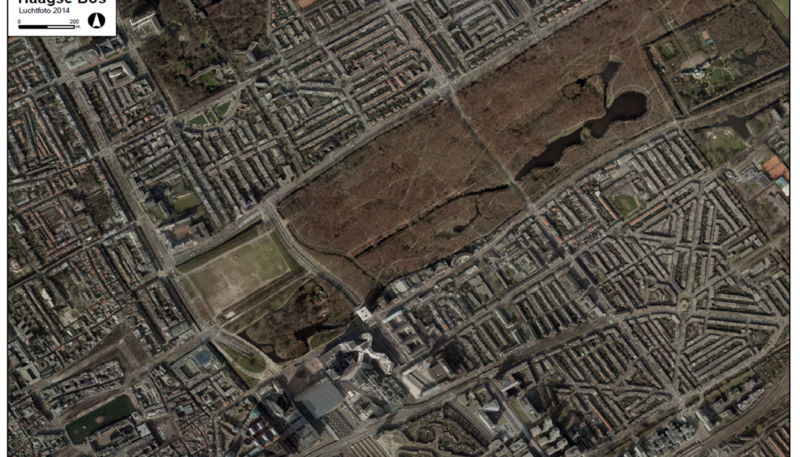 Since 1976, a main thoroughfare, called Utrechtsebaan, has separated the park from Haagse Bos. The municipality and the forestry commission are developing a plan for a green entryway from Central Station into the city and the woods.